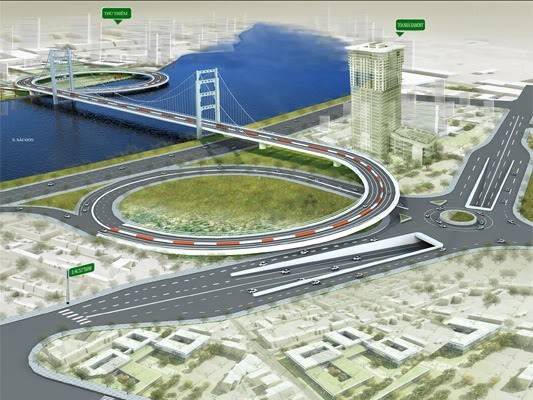 HCM CITY – The chairman of HCM City’s People’s Committee, Nguyễn Thành Phong, is seeking approval from the Prime Minister for the construction of the Thủ Thiêm Bridge 4 project. The city has proposed to carry out the project under a build-transfer (BT) model. The city also asked for permission to select investors among Phát Đạt Corporation Real Estate, Investment Corporation 620, 168 Construction Development JSC, and Tân Thuận Industrial Promotion Company Limited (IPC) . The 2.16km bridge, connecting Districts 2 and 7, would have six lanes, with a total investment of over VNĐ5,200 billion (US$2.29 billion).